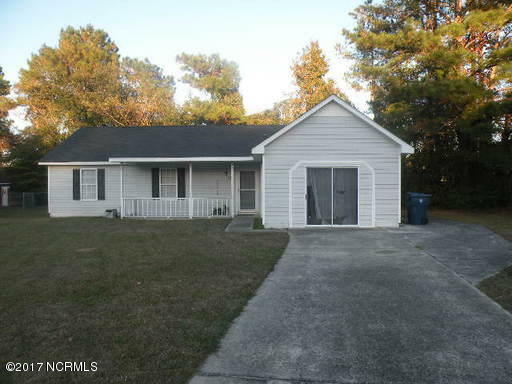 Cute home close to Cherry Point. Located in Wolf creek Subdivision at the end of a quiet cul-de-sac. Living room with fireplace, fully equipped kitchen with range, refrigerator, and dishwasher. 3 bedroom and 2 baths. Large fenced yard great for bbq, children and pets.